There’s so much good information available about depression. If you or someone you know is struggling I encourage you to pick up one of these books. Self-help books can be a great option if you can’t afford therapy. There is tons of information and resources available to you. 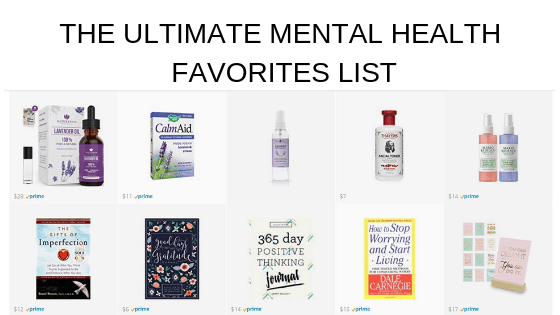 These are my top ten books to read when you’re depressed. I hope you find them helpful. Be sure to check out my other posts about depression. This book offers natural treatment options for depression. It talks about how we can cope with modern life even though our bodies weren’t necessarily designed to live the fast paced and stressful lives we live. If you’re looking for a guide to live a healthy lifestyle this is a great book. This book was written by a neuroscientist and has small steps you can take to start reprograming your brain. This is a great book for someone looking for a science-based treatment option. It is very scientifically based and has a lot of great information about how your brain works when you’re depressed. This is a collection of writing prompts designed to help you create a positive outlook on life. This is a great book for someone looking for a workbook or that is interested in starting a journaling practice. This book is available to read for free on Kindle if you have Amazon Prime. To read free Kindle books you don’t have to have a Kindle, you can download the Kindle app to read them on your non-kindle tablets or on your phone. This is a great book if you’re interested in retraining your brain and getting started with cognitive behavioral therapy. I love this book and I thought it offered a fresh voice in the self-help book world. This book isn’t written for dealing with depression directly but it’s a great self-help book to help you take action to live the life that you truly want to be living. I love Danielle Laporte. This book completely changed how I set goals. Danielle teaches you how to write out goals based on how you want to feel not on what you want to achieve. This is a great book for someone looking to take inspired action or make big changes in their life. This is the best self-help book I’ve read in a long time. It has a lot of solid advice for living a happier life. 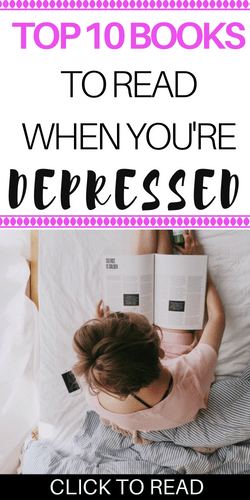 It’s not geared towards depression specifically but more about improving your life overall. It is easy to read and has a lot of great information in it. This workbook is all about manifestation and the law of attraction. It would be perfect for someone who is interested in starting a journal practice but isn’t sure where to start or for anyone interested in the law of attraction. This book has a ton of information about alternative treatments for depression. If you’re interested in learning more about meditation, supplements, Chinese medicine or other alternative treatment options then this is the book for you. This book is written by a psychotherapist that teaches his patients how to “undo” their depression. This book offers in-depth information about depression and would be great for someone that wants to better understand what depression is and how it works.